A 'Celebrity Big Brother' housemate has secretly been evicted. The current summer series has been riddled with twists and turns since it hit television screens at the beginning of this month but viewers are set for an even bigger shock tonight (24.08.17) as they will find out which contestant has been given the boot ahead of Friday night's (25.08.17) final. "SOMEONES BEEN EVICTED!!!! Find out tonight on @bbuk and then I'll be taking them back into the house with me for #CBBBOTS x (sic)." Although it's not known which star has been axed, ghost-hunting presenter Lee Roberts of 'Haunted Live' set tongues wagging when he commented on the idea that Derek had been evicted. 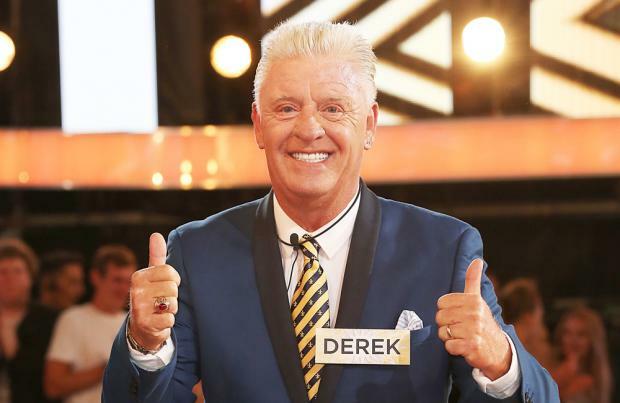 He said: "Interesting that the BBBOTS panel all thought derek_acorah would be leaving via the backdoor...I love it when people are wrong CBB (sic)." He later claimed he had "no idea" who had left the house and just likes to cause confusion. "As much as I hate backdoor evictions, it certainly gets people talking about @bbuk. I can't wait for tonight's show. #CBB (sic)." But Derek's wife also caused a stir when she said she didn't know who had been kicked out. She wrote on Twitter: "Does anybody know what's going on with CBB because I sure as hell don't! Who's in and who's out? (sic)." Despite the speculation, it's believed bosses would have taken extreme measures to hide the departing contestant from the public to ensure the secret wasn't let out of the bag before tonight.